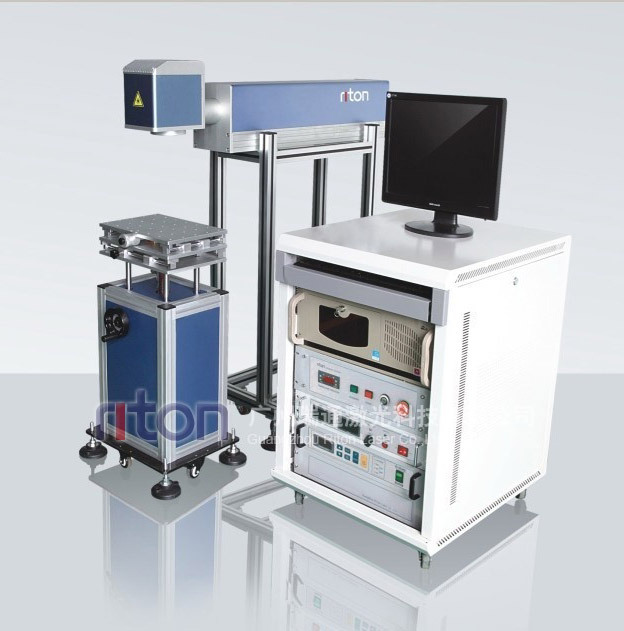 This kind of Diode Side-Pump Laser Marking Machine adopts the advanced international laser technologies and equipments, with imported semi-conductor module, high-speed optical scanner head with servo motors, etc. It has been widely used by many customers of worldwide. 1. This diode side-pump marking machine has high marking speed, reaching to 7000mm/s, which can greatly reduce the production time and improve the efficiency. 2. The minimum line width is 0.015mm, which can satisfy various requirements of customers for precision. 3. It has excellent stability, so there is no need to adjust the optical components after installation. The other technical parameters are following for your reference. 4. Compared with YAG laser marking machine, diode side-pump laser marker has excellent beam quality, small optical spots and high energy within a flash. 5. No deformation for the work pieces, permanent marks, fine line quality and perfect marking signs. 6. Low operation cost, energy saving, environment protection, HE-NE red light positioning, electric lifting for laser optics. 7. Powerful computer system makes user easy to learn and operate. 8. Good laser mode, long working life, perfect laser output stability, suitable for the requirements of long continuous work. 9. We can supply products as customers' requirements. We are specialized in providing proper marking machines as customers' work pieces. The diode side-pump laser marking machine is suitable for many materials, such as: Metal, stainless steel, plating materials, coating materials, sprayed materials, plastic, rubber, wood, paper, organic glasses, fabric, PVC, etc. It is widely used in hardware, electric products, communication equipments, auto spare parts, plastic surface, exact instruments, kitchen and bathroom equipments, electronic components, etc.